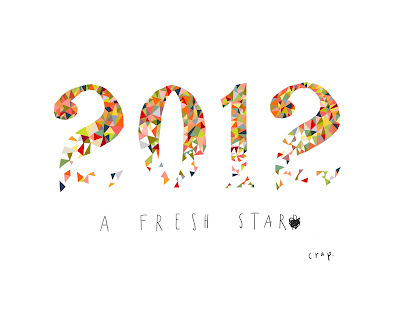 I can't believe it's already 2012!! Write a month-by-month prediction for this year. Start with "This month, I will..."
This month, I will work a lot of hours, as usual! In February, we will celebrate Valentine's Day and my birthday. In March, we will celebrate Brian's 40th birthday! In April, I will see my favorite girls for our annual cropulation in Denver. In May, we will celebrate my nephew Creighton's 4th birthday and my Dad's birthday. In June, we will camp. Just floating that out there to my husband ;) lol Go with my family to a SF Giants game - Creighton's first! In July, I will do something outdoorsy with my husband. In August, I will work on the house. At this point, I'm focusing on the upstairs - the loft and master bedroom/bath/closet. In September, I will prepare for the holidays. In October, we will celebrate 7 years of marriage and, hopefully, travel somewhere fun to celebrate! In December, we will celebrate Abby's 2nd birthday and Christmas. A trip to see my brother for 4-5 days. A mini vacation with Brian (camping? SF? Yosemite? Santa Barbara?). A girl's weekend with my sister and Mom. A weekend foodie tour of LA with Evelyn and Drea. A couple visits to Placerville. At least one 5k run, hopefully with Drea and/or Anna. A live concert, musical or comedy show. Something fun and new to us! Scarlet & Clark Model Halloween Costumes! My One Little Word for 2012: Enjoy!